If you’re in need of a Father Day gift, click here to visit the Amazon site and check out their deal of the day. 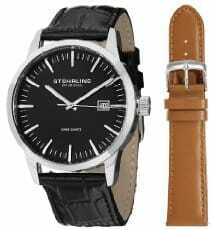 They currently have select men’s Stuhrling Original watches for $54.99 (regularly $375 = 85% off!). Since you’re spending over $25, they all come with free shipping too!